Marinka Hol, MD is part of the multidisciplinary head and neck team in the Academic Medical Center, Amsterdam, where she is the coordinator of the head and neck late adverse events clinic. She is currently undertaking research which aims to develop a prediction model for the individual head and neck sarcoma patients in order to improve multimodal treatment decision making and personalized patient care regarding late adverse effects. 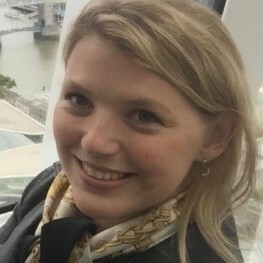 Marinka has been a SIOP Young Investigator Board Member since 2017 and is aiming on developing a program for surgeons involved in Pediatric Cancer Care, since pediatric cancer ultimately is something we cure as a multi-disciplinary team and therefore interaction between all caretakers is utterly important. The Surgery Group will be developing both an Exchange Program for surgeons as well as organize dedicated education for this Young Investigator Group about surgery in pediatric patients.